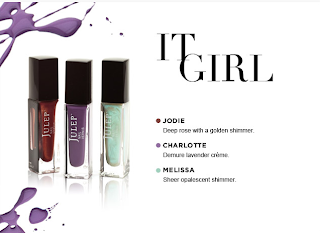 Princess Polish: Near-Freebie Alert: Become a Julep Maven for $.01! 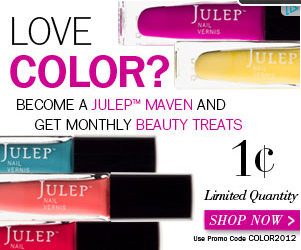 Near-Freebie Alert: Become a Julep Maven for $.01! 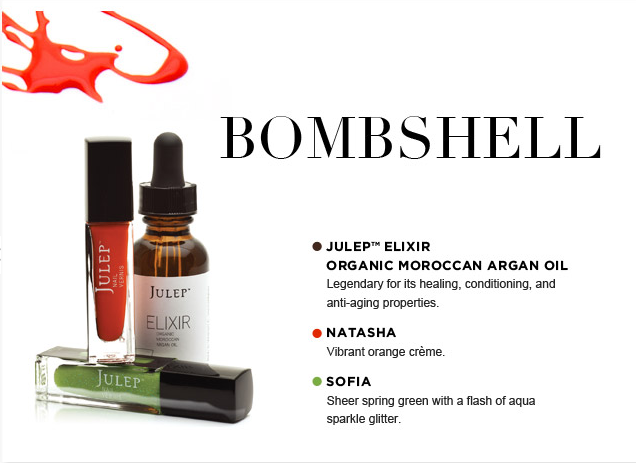 So, I've been dragging my heels on becoming a Julep Maven. But after seeing an awesomely irresistible special a few hours ago, as well as a few nice polishes coming down the pipe, I actually gave in. 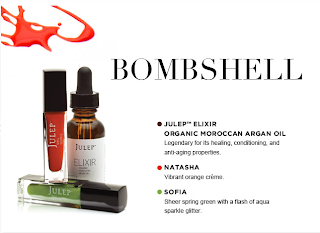 For those who don't know about Julep, it's actually a pretty interesting idea. 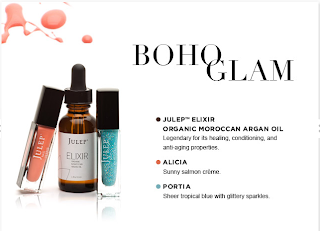 For $19.99 a month, you receive $40 worth of products and at least two of them are nail polishes. You take a style quiz and are given one of five beauty titles: American Beauty, Boho Glam, Classic with a Twist, Bombshell, and It Girl. (Note: I was chosen an American Beauty!) But don't feel locked into that. You can preview the next month's box and switch types between the 20th-24th and your box will ship on the 27th. For example, I switched my box to a Classic with a Twist. Though I keep going back and forth between that (a shimmery purple and a sheer pink) and Boho Glam (a salmon and a sheer blue glitter). Please give me your thoughts on that, by the way... photos are at the bottom. You can pay for the whole thing up front, bi-yearly, quarterly, or monthly. I chose monthly because it looks a heck of a lot better on my credit card bill. 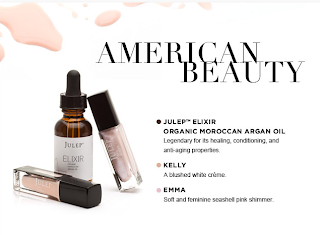 And literally, this month there will be a $.01 next to my Julep charge. Seriously. With shipping and everything. So how do I get a Maven box for a penny? 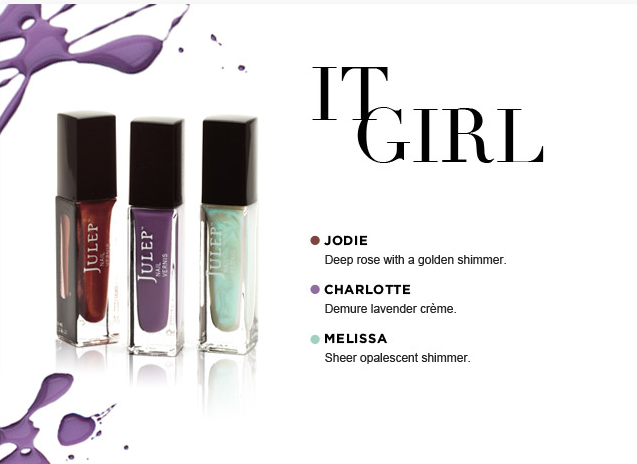 You can click HERE and enter the code COLOR2012 when you sign up. Full disclosure, that link is my referral page and I do get a credit for every person I refer. 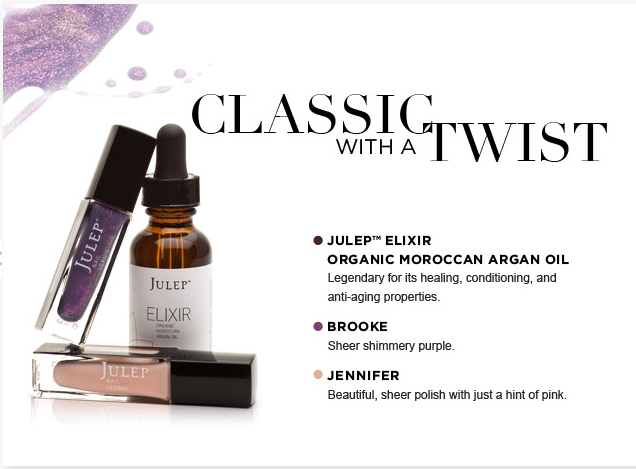 So if you are uncomfortable with that, you can just visit Julep.com to sign up. So this is probably a stupid question, but none of the combos you have posted here were given when I took the quiz. 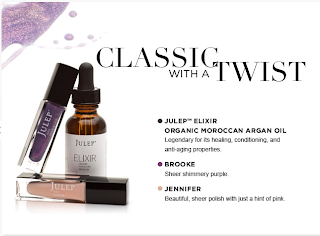 Should I expect my box to be what I saw on Julep, or will it be what I see here? Thanks! Thanks, Jen! The ones I posted are the March boxes. The ones you are seeing on the site are the February boxes. The boxes are sent out a few days before the end of the previous month, so we'll both be receiving a March box as our first. :) Which box did you have your eye on?